(TibetanReview.net, Mar23’19) – The Tibetan Parliament in Exile has on Mar 22 elected a new Kalon (Minister) to bring up the strength of ministerial colleagues of the Sikyong to six. Mr Topgyal Tsering Zongkha, currently Secretary of the Kashag Secretariat, has won the election by 21 votes to 18, with 2 blank votes and 1 voided vote. Sikyong Lobsang Sangay currently discharges the role of the Kalon for the Department of Information and International Relations, although it is not clear whether Mr Topgyal Tsering will head this department. The Sikyong proposed his name at the ongoing biannual session of the parliament, which began on Mar 19 to mainly discuss and adopt the CTA’s Apr 2019 – Mar 2020 budget, and will continue till Mar 29. 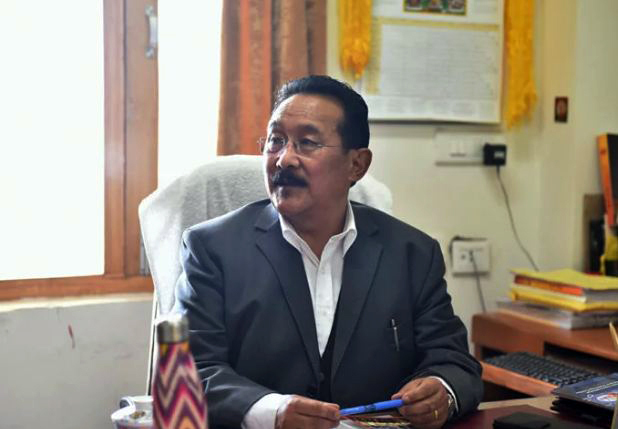 Mr Topgyal Tsering Zongkha, 63, had joined the Central Tibetan Administration service in 1977 and his longest stints have been at Tibetan settlements in India. He has also served at the departments of health and education, besides the Tibetan Delek Hospital.